(Kings Park, NY) — School-Business Partnerships of Long Island, Inc. (SBPLI) has announced that two Long Island high school FIRST® (For Inspiration and Recognition of Science and Technology) robotics teams won awards at the FIRST Championship, which was held on April 22-25 at the Edward Jones Dome in St. Louis, Missouri. Bridgehampton High School FIRST Team #5659 “Team Supreme” was one of the four Subdivision Finalists in the Carson Subdivision. 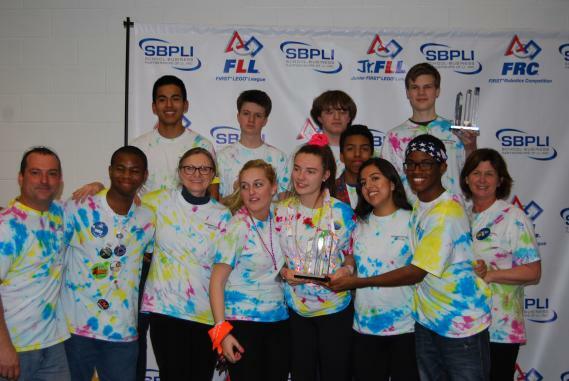 Bridgehampton was the Highest Rookie Seed and the Rookie All-Star at this year’s Long Island Regional FIRST Robotics Competition (FRC), which was held March 27-28 at Hofstra University. 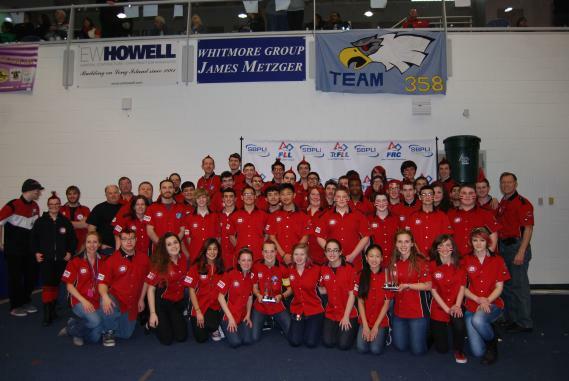 Patchogue-Medford High School FIRST Team #329 “Raiders” took home the Team Spirit Award. The award goes to the team which celebrates extraordinary enthusiasm and spirit through exceptional partnership and teamwork, furthering the objectives of FIRST. Patchogue-Medford received the Regional Engineering Inspiration Award at this year’s Long Island Regional FRC. This year’s challenge was “RECYCLE RUSHSM,” a recycling-themed competition played by two alliances of three robots each. Robots scored points by stacking totes on scoring platforms, capping those stacks with recycling containers, and properly disposing of pool noodles, representing litter. In keeping with the recycling theme of the game, all game pieces used were reusable or recyclable by teams in their home locations or by FIRST at the end of the season. For more information, please visit www.sbpli.org.